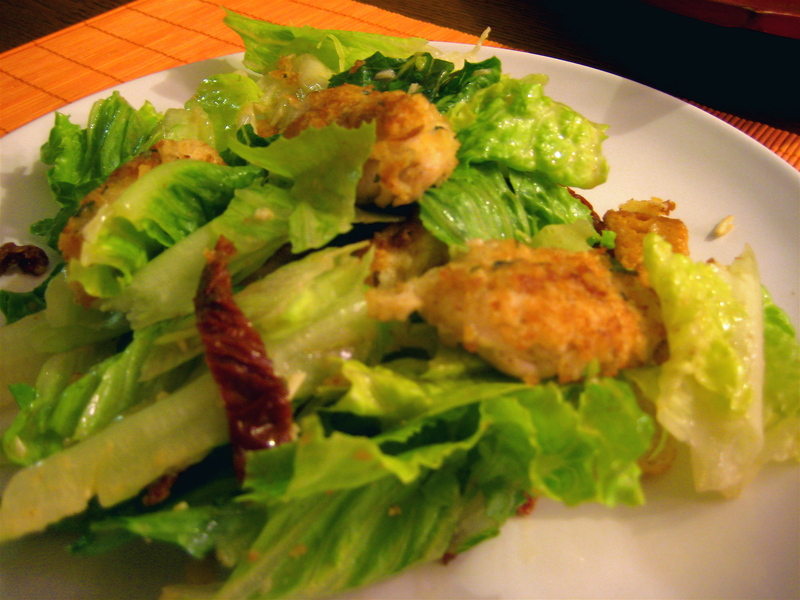 Caesar Salad with Chicken – Voila! This blog is on a roll! I missed cooking and writing so here we go — day number two! 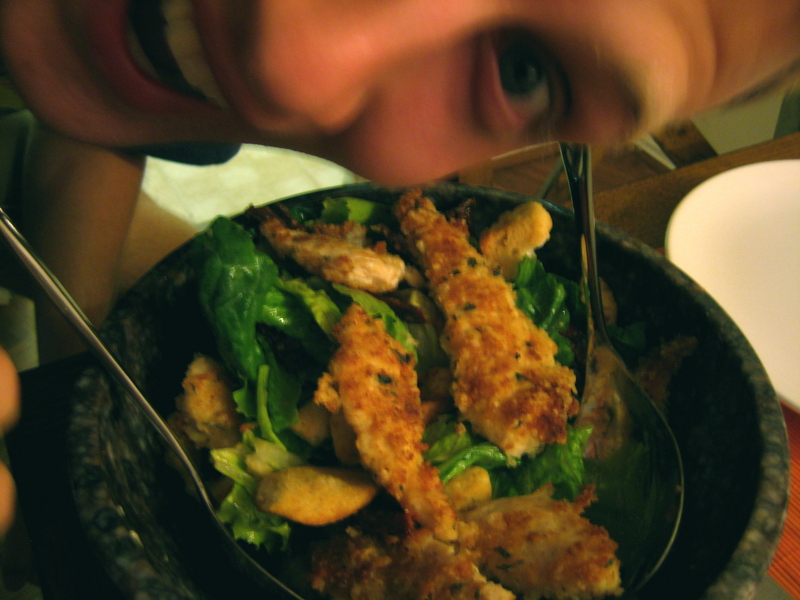 Not much to say about caesar salad other than we all know that it’s fabulous. 3. Add red wine vinegar, olive oil and parmesan cheese, mix well, set aside. 4. Put slices of bread in a blender and blend until crumbly. Add parmesan cheese, parsley and salt and pepper to taste and hit the ‘blend’ button for a few more seconds. 5. In three separate bowls, put flour, egg and bread crumbs. Add olive oil to skillet and turn to medium heat. 6. Dip the strips of chicken in each bowl then lay onto frying pan until cooked through, golden brown and crispy. 7. In one large bowl add iceburg lettuce, sundried tomatoes, croutons and mix. Then add salad dressing and toss. Finally, add warm chicken strips on top and voila! Time to eat! Post-baking thoughts: This was delicious. The chicken strips could be a dish onto their own. James suggested cooking these up again and having a honey mustard dipping sauce on the side — great idea! Pingback: Walnut Cranberry Chicken Salad « Voila! Pingback: Kale Basil Pesto Ravioli with Sauteed Kale | Voila!